Rep. Comer: Farm Bill SNAP Work Requirements "The Big Gorilla In The Room"
Kentucky Republican Congressman James Comer says there are a lot of minor differences between the House and Senate versions of the Farm Bill, but "the big gorilla in the room" is SNAP work requirements. West Kentucky small business owners are voicing concern that legal complexities could stave off future efforts in the region. 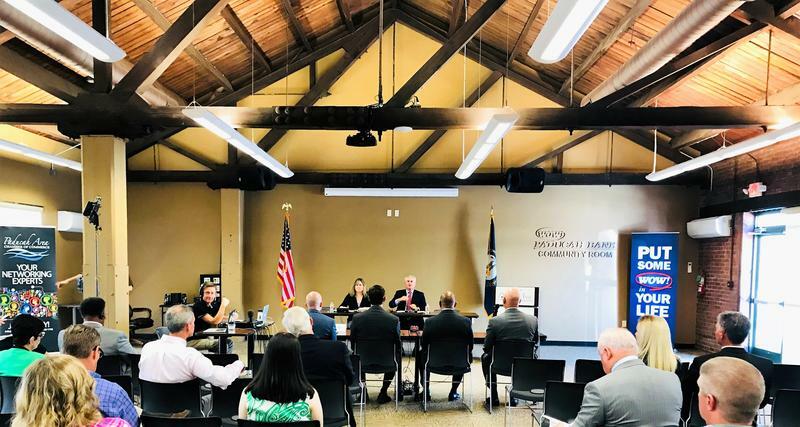 Banking, tech, entrepreneurship and government contracting leaders provided testimony to U.S. House Small Business Committee member and first district Congressman James Comer, in a field hearing in Paducah this week. First District U.S. Congressman James Comer is concerned about a recent decision by the Department of Justice to approve a $66 billion dollar Bayer-Monsanto seed and agrochemical merger. 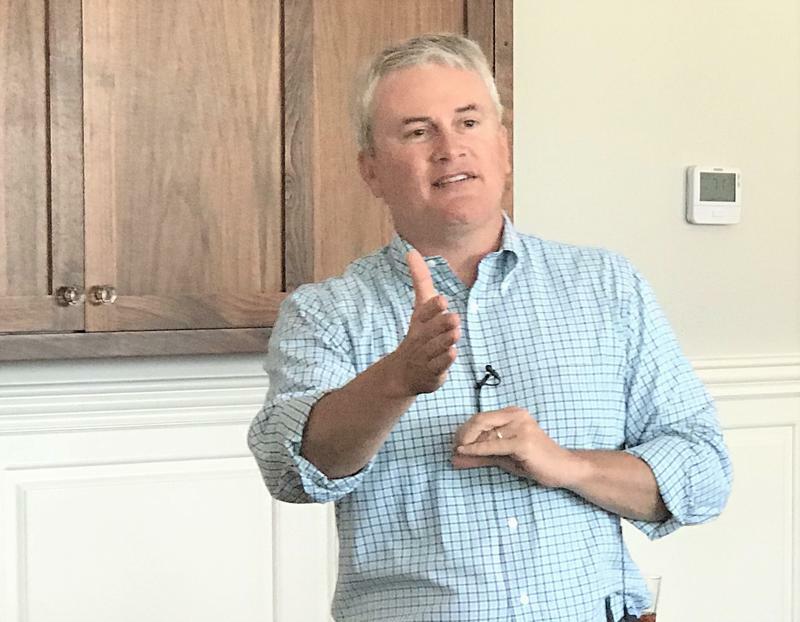 President Donald Trump’s hardline approach towards foreign policy involving China and North Korea “hasn’t been popular” in Kentucky’s First Congressional District, Congressman James Comer said during Tuesday’s town-hall event in Fulton. But it’s an approach that Comer said he believes will benefit the region in the long-run if things go as the president plans. U.S. 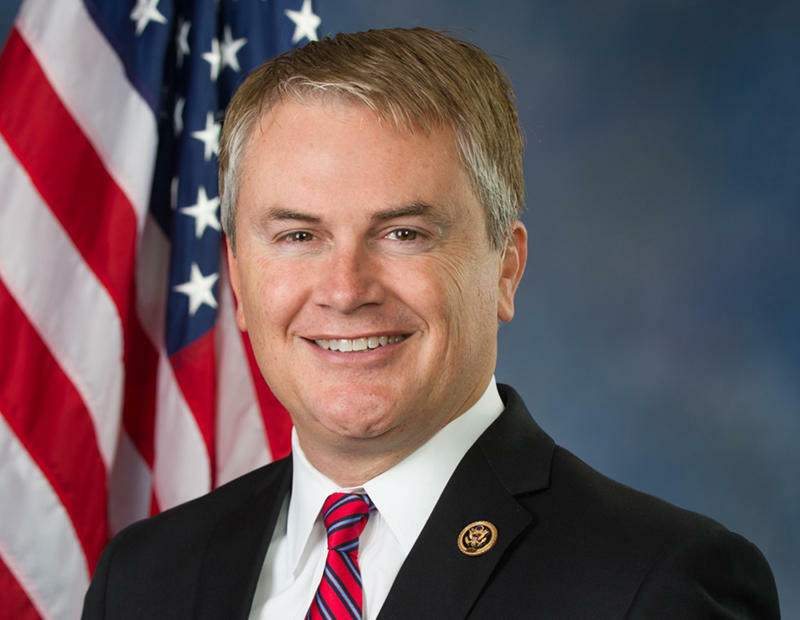 Congressman James Comer has released his tax returns, financial disclosures and other expenses for 2017. The U.S. House Agriculture Committee introduced their 2018 Farm Bill Thursday. The bill increases work requirements for food-stamp benefits, preserves provisions for federal crop insurance and the conservation reserve program. What isn’t included is hemp. In Paducah, on Monday, Baptist Health Paducah Director of Outreach Dr. Patrick Withrow led a community stakeholder forum with Congressman James Comer to discuss the region's needs for how to best allocate the $3.6 billion in the new 'omnibus' spending bill to combat the opioid crisis. Withrow also called for volunteers to help the many community services working in prevention and treatment efforts.